Heuristically Speaking: a blog about things I find interesting. Many of the most impactful startups of the past 20 years were founded at universities. Google, Facebook, Microsoft, Yahoo, PayPal, Dell, Dropbox, Snapchat, and dozens of others got their start in dorms and classrooms. That’s where Contrary comes in. We believe that university-based founders will continue to produce the most important companies of our generation and we want to help make that happen. We are Contrary Capital, a pre-seed university-focused VC firm made up of a nationwide network of 100+ talented student venture partners across 50+ universities. We are all passionate about startups and we know our individual school ecosystems better than any other investor. Many of us have started our own companies in the past so we can relate to the issues that are unique to university-based founders. We are a returns-focused organization. Contrary isn’t a resume booster, publicity tool, or side project. We select serious entrepreneurs, remove barriers, and stay out of your way. All VCs love rounding up the usual suspects: founders who are smart, resourceful, and passionate. 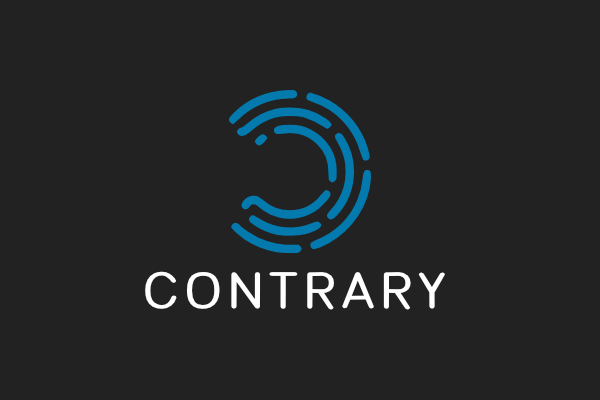 Contrary is specifically focused on founders somehow involved in a university’s ecosystem. This means undergrads, graduate students, faculty, and even recent graduates or dropouts. We’re industry agnostic and our investors have a wide range of interests and experiences under our belts. The most successful companies, however, make heavy use of technology to differentiate, scale, and provide meaningful value. Access to our nationwide network of 100+ venture partners. Our students have experience in everything from deep learning, to private equity, to medical research. The backing of our LPs, 80% of which have cofounded $1bn+ companies. This includes cofounders from Tesla, Twitch, MuleSoft, SoFi, and more. Connections to VCs. We have relationships with most Tier 1 Seed/A investors. If we invest, we’ll connect you to whatever top VC is the best fit. An intensive, hands-on summer program to get you to viable product and fundraising as soon as possible. Access to tools like Stripe Atlas so you can skip some red tape. There’s probably a Contrary Investor at your school! We’re a friendly bunch, don’t hesitate to reach out (hint: check out our website). We’re often the first investor in a company so we don’t necessarily expect founders to have experience pitching their startups. Check out this post or this post to make sure you communicate as productively as possible! I spend a lot of time talking about business opportunities through my work with Contrary Capital. I’ve noticed that many student founders forget to cover certain topics in meetings and pitches. If you’ve been thinking about a startup for a long time, non-obvious ideas become can so ingrained in your head that it’s hard to articulate the assumptions you’re making. This is a list of things that VCs consider when analyzing a venture opportunity’s product and market—make sure to touch on each when talking with a VC. Why now? Think about where this product/market is on the S-Curve. Company should have recently become possible (but not prevalent) because of a new market trend or tech innovation. Unfilled niches are short lived but being too early is very costly. What’s the initial niche? No valuable market is entirely unfilled. There must be some specific niche that can be won over. It’s important that the company provides something 10x better than existing products/services. (Side-note: the degree to which the startup has to be better is directly related to how much they have to change existing customer behavior). Example: Amazon originally focused just on books and made the customer experience convenient and low-price in a way that bookstores fundamentally couldn’t match. Can you grow from that initial niche? Remember that the initial niche is just part of the plan to solve a bigger problem in a bigger market. Example: Amazon used its bookstore cash, workforce, technology, and processes to expand into other retail markets. Is the product/service defensible? There should be something that prevents competition from changing their product or using their resources to create a new product. This is often legal (patents), social (network effects), economies of scale, informational (data that’s valuable across different products), or strategic (example: Facebook struggles to take on Snapchat partly because everything FB contradicts Snap’s core privacy values). What de-risks your assumptions and bets? Assumptions are pretty much the entire foundation of an early-stage startup’s game plan. Being able to quickly prove or disprove assumptions will give founders a more clear picture of reality. How are you going to make money? There should be some sort of exit strategy or long-term profitability goals. Is the revenue stream recurring, network/data based, etc? Why are competitors doing X and not Y? There should be some analysis of how competitors’ strategy and execution interacts with available market opportunities (related to Peter Thiel’s Secrets — things you know but no one else does). How is the market growing? Both growth rate and change in growth rate are important for a founder to know. What are your current bottlenecks / resource constraints? This ties in to your roadmap and execution strategy. Have you thought deeply about what’s important to get done and what can wait? What have you learned from users and how has that informed your decisions? It’s important to understand what users need and how you can better serve them. Do you look at new users by cohort? Have you segmented users based on any patterns? Note that every answer to these questions does NOT have to be perfect. Part of analyzing a business is finding the flaws (there’s always at least one) and thinking about how it can be overcome or compensated for. Don’t sweat it too much if you can’t find a great answer to some of these questions. Part 2: Thinking About People is now available! You can find me on Twitter @whrobbins or the web at willrobbins.org. If you’re a university-based founder who actually read this post, hit me up. I’d love to hear what you’re up to! If you work in VC I’d also love to talk! I have a separate document about evaluating answers to the above questions that I’d enjoy discussing. Note: this post ballooned into a 2000 word essay. Skip to the TL;DR at the bottom if you don’t want to spend 4–8 minutes going more in depth. Retail investors (non-professionals) can’t beat the market in the long run. This phenomenon has been well documented and I am not aware of any compelling evidence contradicting it. Active retail investors also tend to perform worse than passive investors in the long run. This doesn’t mean that everyone will lose money—it means that if an investor’s portfolio grows 5% in a year, it’s highly likely that they could have made more (say 8%) just by buying a simple index fund and holding it. This refers to the idea that traders should focus on the intrinsic value of a security when making decisions. If a company is selling stock at $5 per share, you should only buy if you can expect to earn $5 in dividends over the entire course of the company’s lifetime. Famous investors like Warren Buffet don’t buy anything that isn’t priced cheaper than the underlying asset’s value. This is the only rule you as a consumer need to follow unless you really know what you’re doing. The hard part is determining what the true value of an asset is. This refers to the idea that quantitative indicators, historical market data, and social/psychological/political analysis can help you predict where the price of a stock is going. If you can tell when the right time to buy and sell is, the actual price and valuations of an asset don’t matter. In practice, this is extremely difficult to do well. The vast majority of day traders lose money trying to predict how other people will make trades. But for certain (highly advanced) firms, this strategy is amazingly profitable. This philosophy also plays a part in how bubbles form—if speculators think that they can make money with an investment, they’re often willing to overlook prices that are way above the true value of whatever it is that they’re buying. Alternatively entitled “buying Apple, Berkshire Hathaway, and whatever company I like seeing on my Facebook News Feed.” Needless to say, this is a losing strategy. But a non-negligible number of people still run their portfolio this way. Throwing darts has been especially tempting the past several years because markets have been doing so well overall. It’s easy to be encouraged by modest returns but equally easy to forget that putting money into an index fund would be at least as profitable and less work. Which of These Strategies Works Best With Robinhood? Two of these strategies (not the third) are valid investment theories. There is a lot of debate over which is more viable, and real-world professional investors sit somewhere on the spectrum between fundamental and technical analysis. But all three strategies are doomed to underperform using Robinhood. Remember the fact that retail investors already can’t beat market indexes. Robinhood doesn’t provide any information or systematic advantage to reverse users’ predisposition to poor performance. I’d guess that it’s even harder to make informed decisions because there will always be lower quality information available to users on a mobile-only platform. The lack of quality financial information will let users rely more on irrelevant news seen on social media, their friends, and their guts to make decisions. That’s not good. Robinhood is one of most elegant and aesthetic apps on the market right now. It has smartwatch companion apps, a fun intro video, and creating an account takes less than 4 minutes. Robinhood as a company is clearly in touch with modern product expectations. People my age want to go through the full user experience on mobile, start to finish, with as few exceptions as possible. The actual features are similarly streamlined. The premium account option, Robinhood Gold, gives users access to more advanced trading options and margin lending (loans from the broker that amplify the profits or losses you’ll make). So do these features help people access financial markets? Sure they do. But that’s not necessarily a good thing knowing that retail investors underperform averages. Robinhood markets their margin lending as a way to “get up to 2x your buying power.” There’s no mention of risk or the financial mechanics of margin lending. It just sounds like a great way to make more money—“buying power” is such a positive and harmless descriptor. People without the proper experience will get burned by this unless the loans are better explained. I’ll ignore the lack of tools available to users (Quicken integration, export to Excel, ability to easily manage many diversified holdings) because they can be easily implemented in the future. But even that wouldn’t solve the underlying issue with mobile-first stock trading: it’s too hard to fit all the relevant information into a 5″ screen. The charts are overly simplistic and making an informed investment decision requires more detailed research. Of course users could do research on a computer and just execute the trade on their phones, but that defeats part of Robinhood’s value proposition. So it’s in Robinhood’s interest to convince users that they can get by with mobile alone (again, this will make it easy for users to under-educate themselves and speculate). A quick Google search found data showing that the average Millennial saves less than 8% of their income and has a net worth between $-20k (debt) and $20k. Zero commission on trades and no minimum account balance is clearly an advantage for these users. It removes the biggest barrier to entry. Robinhood markets itself as a way for low stakes consumers to get started in investing. As a quick aside, there’s even doubt that the free trades are a net benefit for users. Slippage is the difference between the price of a trade as it’s ordered and the true cost of trade as it’s executed. Paid trades with larger firms are generally thought to be executed more efficiently and more likely to trade at the the best price. So over time, depending on trading volume and portfolio size, users could theoretically be better off just paying for each trade at with a different broker. But Robinhood could definitely improve this over time if it is a real problem now so I don’t hold it to them. Anyone who can’t afford fees or minimum account balances simply should not take the risk of trading stocks. There are cheaper and safer investment opportunities out there. Again, people should be able to do whatever they want. But I think it’s worth speaking out to prevent Robinhood from convincing these potential users to actively trade. Even the name “Robinhood” makes users feel like they’re empowered to take control of their own financial future and able to beat the pros at their own game. At risk of sounding like a broken record, this is impossible (well, highly unlikely on average, to be more accurate.) Of course Robinhood makes all of the appropriate disclaimers crystal clear but the brand seems to signal that active trading is a good idea. As I mentioned above, Robinhood doesn’t earn revenue by executing trades. It makes money through interest on users’ uninvested funds, “Robinhood Gold” which includes access to margin lending and advanced trading features, and interest on margin loans. Putting the advanced features aside (I imagine that a subscription to after-hours trading access and instant deposit of funds is relatively cheap and only scales with respect to the numbers of users), Robinhood’s success is dependent on maximizing (a) the amount of money left in accounts as cash, and (b) margin loans. Knowing that Robinhood users are highly likely to underperform the market or even lose money, Robinhood’s success metrics are inversely related to users’ success metrics. The more cash users store in their accounts, the more interest they are losing out on. Worse, users will lose more and more money in aggregate as they increase leverage on their investments using margin lending. I consider this to be a fundamental flaw in Robinhood. I just don’t see a way for both Robinhood and its users to be financially successful under this business model. A world where Robinhood succeeds in fully “democratizing access to the financial markets” is a world that’s less stable than the one we live in now. Frankly, I’m surprised that most Robinhood users aren’t more cautious of participating in the stock market. Millennials (Robinhood’s core audience) were hit hard by the recession. I suppose that several years of recovery has erased memory of previous bubbles — markets have maintained strong, steady recovery growth between Robinhood’s 2013 launch and now. If playing the stock market from the comfort and convenience of your iPhone became common, markets would become more volatile and susceptible to bubbles. I haven’t met any Robinhood users who express this concern which is even more worrisome, in a way. Most people think that bubbles are caused by banks and the government. In some cases this may be true—consumers weren’t the ones giving out subprime mortgages and building complex financial instruments in the 2000s. But bubbles are definitely possible in the broader economy. Look at the Japanese bubble in the ’80s for example. The Japanese real estate market was valued at just over $20 trillion. That’s just over one fifth of all the world’s wealth at the time. Clearly an island that’s 5% the area of the U.S. could not possibly have that much intrinsic value. Yet the bubble continued to inflate. A more recent and fitting example is Bitcoin. Cryptocurrencies are interesting to me because they seem to be used and understood most by consumers. Banks and governments weren’t particularly interested or involved in blockchain tech until recently. It was mostly speculative consumers who drove the price of BTC over $1000 in 2014. About a year later, after a peak and crash cycle, BTC was priced around $350. Luckily Bitcoin was (and still is) too small to affect the overall economy. The point is that people en masse aren’t always rational. Only a small fraction of the population can spend the time to read up on finance, economics, and current events. So an economy where every college kid, lawyer, salesperson, Uber driver, and stay-at-home parent is encouraged to actively invest is bound to experience the unreal highs of a bubble and, of course, the disastrous crash of the pop. It’s widely accepted that the average investor cannot beat market averages in the long term. Many studies have shown that index funds and passive investing are the most successful strategies for users. This is the opposite of what Robinhood encourages. Robinhood markets itself to consumers with the least financial experience and risk tolerance. Robinhood’s success is largely dependent on users taking out margin loans that amplify the profits or losses of a trade. Because we know that the average retail investor is not likely to succeed actively trading, Robinhood’s margin lending will hurt users in aggregate. This means that Robinhood’s value proposition and incentive structure are fundamentally misaligned with the best interests of users. But a world where everyone uses Robinhood to make their own investment decisions would be less stable and more prone to speculation/bubbles. History has shown that the masses are unable to see when prices are too disconnected from the intrinsic value of an asset.